THE government continues its attempt to gather the “database of poor people” as it would allow low-income citizens to join the “Government Welfare Registration Program” on the coming April 3– May 15. Pornchai Theerawetch, Deputy Director General of the Fiscal Policy Office (FPO) and acting spokesman of the Ministry of Finance, said that those who want to register can start off early by asking for the registration form from now on at these places: Bank for Agriculture and Agricultural Cooperatives; Government Savings Bank; Krung Thai Bank; Provincial Office of the Controller General; and all Bangkok district offices. They should study the form very well and prepare the documents required by the form accordingly before filling it out with complete, clear and honest information. They should check the information again before signing it at the end to certify their info and agreeing to have their personal information revealed and inspected. Being ready can help with their application’s success rate and saves them a lot of time. Finally, they have to physically submit the form themselves. For the elderly or disable, power of attorney can be assigned to people who would run errands for them, said Mr Pornchai. 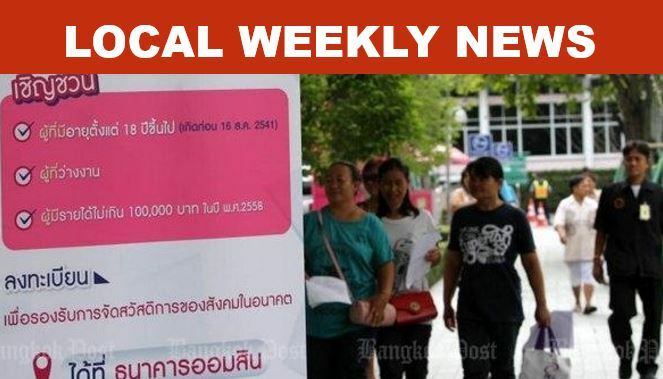 THURSDAY March 9, Prime Minister Prayut Chan-o-cha asked the public to bear a bit more burden with one more percent of the Value Added Tax (VAT) rate from 7% to 8% so that the government has more financial resources to implement projects that people want. 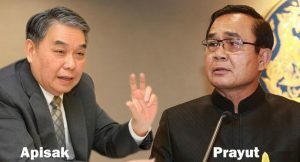 Insisting the government is not broke, the PM cited that the additional one percent could raise an additional 100 billion baht in annual tax revenues. However, the Finance Ministry did not think so as an unnamed source at the ministry said it had not made such a proposal to increase the VAT because the economy had not fully recovered. Finance Minister Apisak Tantiworawong also said on Wednesday morning that VAT would not change this year. 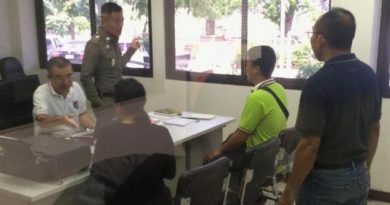 IT was reported past Monday that, on that day alone, 18 Uber drivers were caught and fined 2,000 baht each for unauthorized use of their vehicles as public transport. 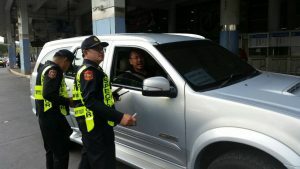 Each driver was also fined another 2,000 for wrongful use of their cars. 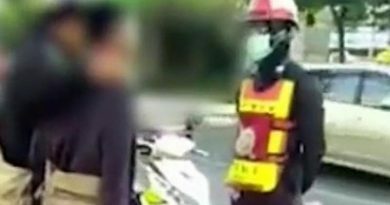 Land Transport Department director-general Sanit Promwong said police and soldiers also assisted the department officials in the operation. They caught 2 more Uber drivers on Thursday March 9 in Pattaya. Besides the drivers’ names being recorded in database, they might risk having their driving licenses revoked if their violations were caught repeated. Transport officials began the crackdown campaign in Chiang Mai last week with popular but illegal Uber and Grab services. Despite the crackdown, Uber expanded it service to Pattaya, Chon Buri municipality and Bang Saen recently. 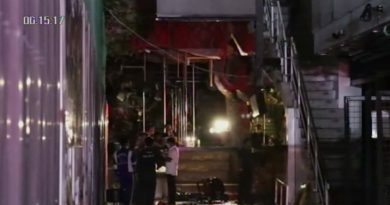 The firm posted on its Facebook that it will keep talking with authorities to ensure the people’s benefit continues. The National Health Security Office (NHSO) has allocated a budget and launched an early child development program to help pre-school children in remote areas to develop missing learning-related and language skills starting with the northern Phitsanulok province. Puwanon Iamchan, chief of the NHSO in Phitsanulok said village health volunteers should work closely with local health personnel as collaborative efforts are needed to timely address children’s communication problems. Wilaiwan Suea-Sadao, a registered nurse at Ban Yaeng Community Medical Unit in Phitsanulok’s Nakhon Thai district, said that around 80% of children aged 2-3 in communities, though the physical examination, showed they do not have brain problems but they do have speech and language delays. She said many parents left these kids to watch TV, which she believed to be the main culprit since it is one way communication, it can affect a child’s ability to learn to talk and listen via interaction, Ms Wilaiwan said.